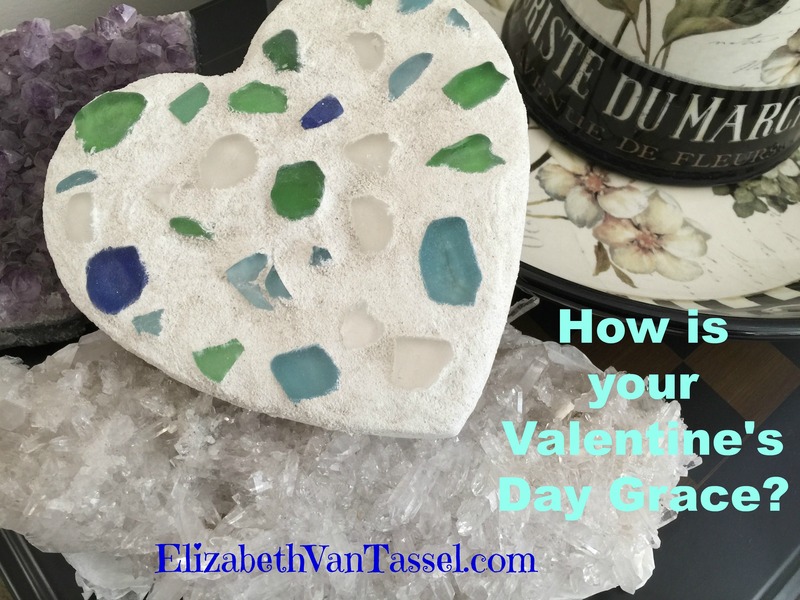 How is your Valentine’s Day Grace? I have this wise, old character in my story I can’t wait for you to meet. He knows just what to say and do in sticky circumstances, and always has wisdom when I need it. I find myself wishing he was here in our world this week. The big “love” holiday is upon us, yet I’m a bit shattered. Not because of unkindness of others or some life event, but I’m walking through the death of a dear friend who faced her cancer battle like a strong warrior-princess. And a friend’s home burned down. And more deaths or lives are threatened by illness and accidents. What’s going on? I don’t quite know. But I keep being drawn to this simple heart with beach glass and cement that my kids and I made a few years ago. It’s a word picture for how I feel. I’ve been shattered, like the glass, but am also held together by the best things in life. The love of family and friends. I long to walk with my character and ask, “How can I be wise when facing this terrible loss, and teach my children how to mend their broken hearts, too?” If he were here he’d listen and hold my hand, and help me. Suddenly I’m in a powerful season of sadness and it seems unrealistic not to admit it to you, who’ve been so very supportive on my journey to publication. I’ll dwell on the simple things this weekend. A kiss from my boys, the sun dappling on the ocean swells, my husband’s many gestures of kindness and love. In case your life isn’t quite perfect this week, you’re in good company. There’s resources for lots of those broken moments here and more to come on the new website soon. I just wanted to thank you for walking with me while I’m trying to grow and grieve and be renewed, too. Let’s determine to be more resilient together this holiday, in faith, hope, and joy. Wishing you the grace of all three right now. Next week we’ll continue with the 10 Stress Knock-Out Strategies.